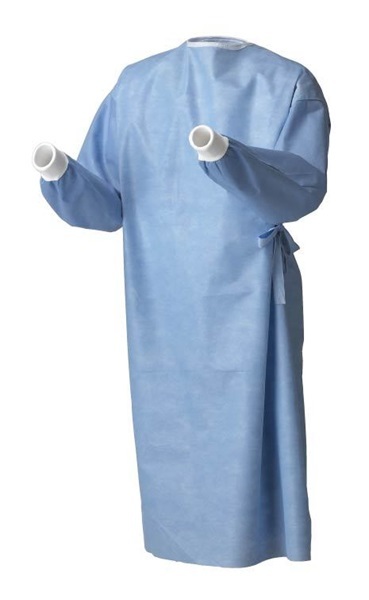 These surgical gowns are extremely comfortable and provide the right level of protection during surgeries. 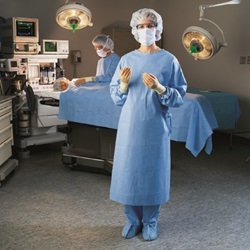 Halyard sterile surgical gown is made from polypropylene, which is a low-linting fabric. Gown is blue, long sleeve, and small adult in size. Includes towel, knit cuffs, closed back, and adjustable neckline with 3-snap closure. Sold 34 per box. Halyard sterile surgical gown is made from polypropylene, which is a low-linting fabric. Gown is blue, long sleeve, non-reinforced, and large adult in size. Includes towel, knit cuffs, closed back, and adjustable neckline with 2-snap closure. Sold 36 per box. The Aurora line provides an unbeatable combination of extreme comfort and high protection. No compromise is necessary with a premium blue fabric that's also incredibly strong. The fabric's high hydrostatic head protects the wearer, and its extreme breathability leaves the wearer feeling cool and unrestricted during procedures. AAMI level 3 protection. 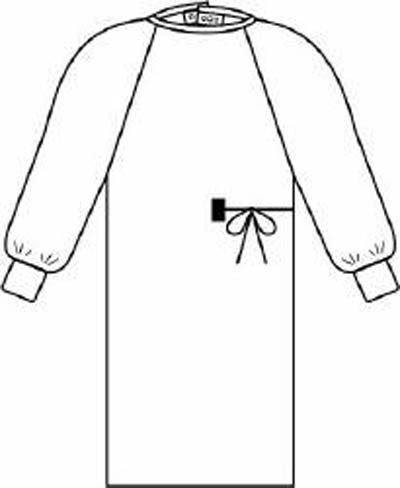 The gown is sterile, large in size, and closes with a hook and loop. Sold 30 per box. Astound sterile surgical gown is made from 3-layer microfiber, which is classified as AAMI level 3. 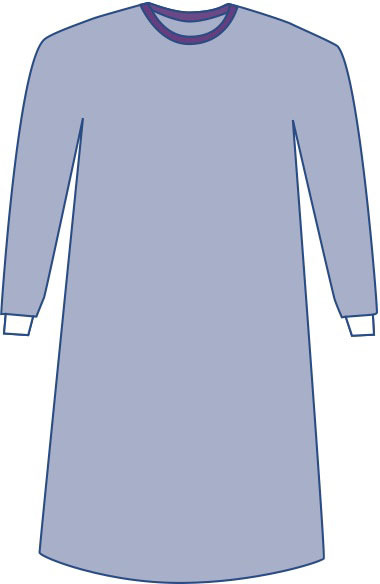 Gown is blue, non-reinforced, long sleeve, and large adult in size. Includes towel, knit cuffs, closed back, and side tie closure. Sold 20 per box. 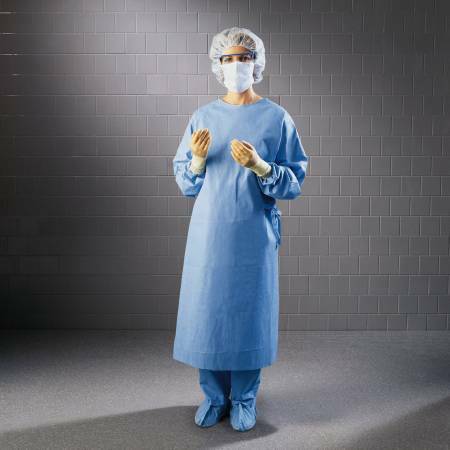 Halyard sterile surgical gown is made from polypropylene, which is a low-linting fabric. Gown is blue, long sleeve, and x-large adult in size. Includes towel, knit cuffs, closed back, and adjustable neckline with 3-snap closure. Sold 30 per box.